thought about how he was a great metaphor for the season. That little one year old brings so much hope and joy. 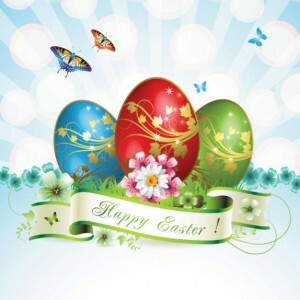 The Easter symbols of butterflies, flowers and eggs make sense. Not only did we have plenty of those in the back yard, but the lemon tree is in full bloom filling the yard with its sweet scent. Spring is that time when “the green blade rises from the buried grain.” Seeds, eggs and cocoons seem dead but hold the potential for life. The Easter story of life springing forth from death is that ultimate sign of hope. The knowledge that no matter how dark the season or situation, life and love still have a chance. For Christians the season is not just about chocolates and pretty clothes. We believe that no matter the circumstance, we are not alone. Faith does not promise a pass around life’s troubles. Faith offers a path through those difficulties and a guiding hand. We find tremendous resilience in the knowledge that no difficulty is ultimate. Anybody looking at the events of Good Friday would have assumed that the Sanhedrin had the last word. Our culture rewrites the Psalm: Though I walk through the valley of the shadow of death, I will fear no evil, for I am carrying my .44 magnum. Anybody with good sense knows that power & money triumph over love. A handful of His followers were locked in a room scared they were going to be next ones taken. The knock on the door brought fear. They never considered the possibility that they would find hope and a love that would not let them go. My faith gives me hope in every circumstance. I find courage when giving up seems sensible. I see life springing up even when death surrounds. I don’t have all the answers, but I do have a love that will not let me go. That changes darkness into light. I lost a friend today and was caught off guard by the impact. I came in from tennis this afternoon. I intended a quick scan of my Facebook before a shower and was stunned by the first post I saw. Alan passed away 3/25/13 of a stroke at 7:50 PST. I know he told me a lot how he loved having so many friends on here. I met Alan only a few months ago on Empire Avenue. We saw the world very differently, but I loved each of my encounters with him. Even when he was in a depressive stage, he maintained his generosity of spirit. He was stubborn, and I’m told that I am a bit strong willed. We had many lengthy Facebook chats and seldom completely agreed. I am barely a blogger, both in terms of quality and output; so I was awestruck by his daily blog effort. He only seemed to notice the days that he missed. As any artist, he never seemed to be quite satisfied by his work. As a critic, he was always kind and constructive to others. I growled at him about excessive generosity with everyone but himself. I once told Alan about an unfortunate encounter with chicory coffee on an early morning after the night before. As a native of New Orleans, he loved my silly tale. Both the fun of late night Bourbon Street, and the penalty extracted the next morning. Alan was a great audience. Alan was amazingly transparent in his writing, his struggles with mood disorder, his fights with writer’s block, his gay bearness; so much of his life. He was so generous with the intimacy of his words, but he valued his privacy. I suspect an artifact of his activist years. I thought his choice to avoid a photo as an avatar was a contrapuntal note that added a bit of richness & intrigue. He once bragged that even after hours of chatting together I would not pick him out of a lineup. Today was the first time I saw an image of Alan. I did a web search to find a bit more and was pleased to find this photo. It would probably irritate him just a little; so I think it is a fitting tribute. Rest in Peace dear friend; until we meet again! I have some sad and shocking news to report today. Not everyone on the Avenue is nice. In addition to the thieves and scoundrels, some folks are just selfish, mean, and uncaring. Now I know someone is going to remind me that if I expect nothing, I will never be disappointed. Holy Week reminds me to turn the other cheek and repay evil with kindness. I am not arguing, but I wonder if I have deep enough pockets to survive that strategy. A rambling preamble is a bad way to start; so here it is. Someone sold my shares. What should I do? My usual procedure is to whine; then block. I whine to give someone with an honest error an opportunity to amend. Hasn’t happened yet, but perhaps someday. When I explain what is about to happen, I am often greeted with…but it’s nothing personal. I grin a bit when I hear that. Can there be a more profound misunderstanding of social media? SM is all about the personal. If you lose the personal, how is SM different from old school, broadcast advertising? EA is as personal and intimate as you can get with G rated social media. We are buying and selling our friends. How do you identify most of the accounts….with a person’s NAME. The symbol that explicitly identifies ME! The only thing funnier is when a seller accuses me of ‘threatening’ them. Really? You just sold me, but when I tell you I intend to reciprocate your kindness…I am mean? Perhaps it goes back to my premise of selfishness. 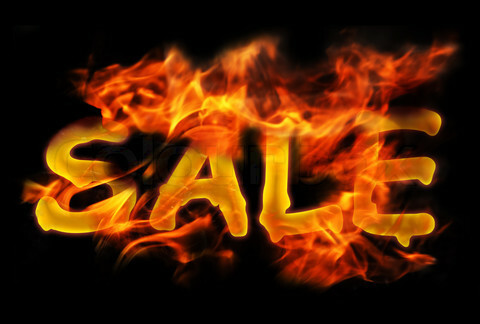 Sellers don’t seem to understand my irritation at being sold, but they are all in on hating me when I am ready to sell. I get sold without a comment, but when I have the courtesy to provide someone an opportunity to save themselves….I become the bad guy? Yes I am going to sell you. Yes I am going to block you. Yes I know what it will do to you. Yes I am sorry, and I even feel a bit sad for you. On the other hand, I object to supporting bad behavior; because that seems to encourage the sinners. Some folks wonder why I block the miscreants. I have several reasons. 1. I practice reciprocal investing. Up to 1,500, I have matched every active investor(10 EA actions per week). If you invested in me to stimulate a buy, it works perfectly. If you then turn around and sell my shares, eventually I won’t have enough income to continue this practice. 2. I work to support my shareholders. I care that I provide reasonable dividends and share price increases for my faithful investors. When an investor sells, the value of a share decreases. That is bad for everyone who is still invested. That sale didn’t just irritate me, it reduced the value for everyone who trusts and believes in me. 3. I use a third party investment management tool. 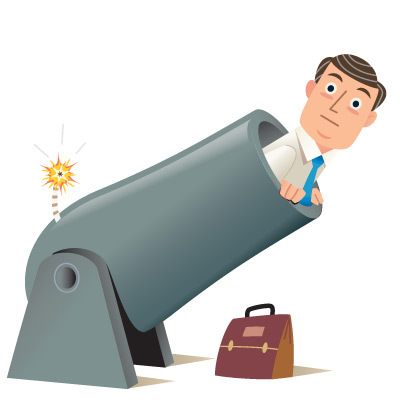 I am not one of the ‘big guns’…yet, but still it is unreasonable to attempt to deal with thousands of stocks and a zilllion buys with only the tools that EA provides. I buy a ton based on criteria; so if I don’t block the offender, I am likely to repurchase unintentionally. 4. I want to invest in folks that I care about and who care about me. I have some pure, by the numbers investments, but they are just an interest bearing savings account for me. The greater income allows me to invest and support others. Investing is a real connection with a real person. 5. Finally there is a bit of what I learned as a kid on the playground. If you don’t want to play with me, I don’t want to play with you. Selling an investor seems to be a loud message that my value to you is gone. We play a social game where we each benefit when we work to support each other. I want to be connected to folks with similar goals, values, and concerns. I want us all to win…though we might need to gang up on Kevin! Now this does not mean that I never sell anyone. I would like to be able to hold all my investments; but I have limits of patience, energy, and income. I make bad judgments with some investments. Folks quit the game, lose their minds, or just play poorly. I sell to clear my portfolio, recover eaves, and avoid losses. I try diligently to make sound decisions. I don’t always get it right. I have a bond with my investors to take care of them, and trust that they will do the same. I remember a while ago, one of my investments seemed to disappear. I sent a message on FB asking if he had quit. He apologized for his inactivity but explained that Hurricane Sandy had destroyed his home. I can hold him. Some stuff is more important than eaves…in fact most stuff is way more important than eaves. This post might stir things a bit. I certainly understand that many will not agree with me, and I am fine with that. I am delighted by the differences that each of us bring. I really want your input. I care about what you think…but…Please, pretty please, pretty please with sugar and whipped cream on top, be reasonably polite. I am sure that we can disagree without being disagreeable. I have written a couple of times about the issue of mission thieves on Empire Avenue. I was really thrilled when Duleepa Dups Wijayawardhana, the CEO of Empire Avenue, participated in the discussion. He counseled patience but assured us that they were working on a solution. I was super hopeful, when EA added a warning to every mission screen, “We monitor link claiming. Only claim Missions where you will complete the task, your karma is important! ” I did have an aesthetic question about the warning being in pink, but perhaps they were taking a queue from Arpaio. When that first showed up, I expected that a placebo effect would change behavior for a while. I also worried that without enforcement the impact would rapidly wear away. I think my concerns were well placed. Now it seems that most missions carry some threat or warning. I hear that a lot of folks are blocking the miscreants and growling at them in various forums. The newest trend seems to be publishing the names of the offenders. I even saw a Fresh Face player published a list of mission thieves. I am a bit concerned about this trend. I see enough confusing missions and even some that are intentionally misleading to wonder about the consequences. I worry about the negativity that seems to be rising on the Avenue. What do you think? Are you publishing a list of mission thieves? Are you on any of the lists? Can mission creators really make a difference by monitoring their own missions? Is this junk making Empire Avenue less fun or useful? Is this a long term trend, or just a bump in the Avenue? Can or will the folks who own the Avenue help us control the creeps? No answers from me today, but I would surely be interested in what you think. In the new users forum, I have posted a few tips. I thought I might collect them here. Please leave any suggestions that you have in the comments. 1. Are you interested in getting your shares bought (that is what makes your price rise)? Invest in investors. Buy shares of stocks that are active (at least 20 or 30 actions each week) and have more Users in their Portfolio than Shareholders. If their price is similar to yours, you are most likely to get a mutual buy back. 2. Are you interested in raising the dividend income that you pay to your shareholders? Post a lot of engaging stuff to a large group of people. Dividend calculation depends on 3 things: Your network reach (how many friends, followers, fans you have), your activity (how many posts, uploads, or actions you have), and response (how many likes, shares, retweets, or comments your posts cause). Empire Avenue calculates your dividends based on your top 5 networks and is calculated over a rolling 7 days. Blogs that are connected are magically helpful, but exactly how is unclear to me. 3. Are you interested in raising the dividend income that you are paid each day? Invest in folks that pay a high dividend. When you don’t have many eaves for investing; then you need to try to get the best bang for your buck. That means finding stocks with a high dividend and a low share price. We call that ROI (return on investment). The third party portfolio management tools can help you find these. 4. Refunds can be a pain but don’t freak out. When someone quits the game, their portfolio is automatically liquidated. If the quitter had an investment in you, it is a sale of your shares. If you have an investment in the quitter, your holdings are liquidated, but at least there is no commission. You can see if you had any refunds by clicking the bank balance at the top of your EA page. That will open a page with the details about the eaves that you have spent & received. If you click the line that says Refund, you will get the details. This will include your returned investment from anyone who quit the game and eaves returned from the unused rewards from missions you archive. 5. Have you ever opened a window to view a mission and got distracted, busy, or otherwise left the window open for a bit before you could hit the Click Here to Complete button? When you finally click that button, you end up getting sent to your own profile page. Although when you return to that mission page, you will see the button says Already Completed. You didn’t get paid. Refresh the mission window to enable the button to try again. Don’t wait so long next time. 6. What is ‘The Turn’? That is what happens early morning in Edmonton, EA’s headquarters, during the process that includes your dividends getting paid. You might notice during the day, next to your share price on your profile a number in parenthesis. That is how much your share price has changed during the day. Right now mine says, Share Price: 434.50e (+1.61e) . The EA nightly process, resets that counter for everyone starting with the oldest stocks and continuing to the newest. They reset your share price and the change number up or down to reflect their calculation of your stock price. A Green Turn means your share price is rising. A Red Turn means your price was adjusted downward. Some folks sell their Red stocks; since that drop in share price reduces their net wealth. 7. Have you ever finished playing a YouTube mission only to discover that you got the dreaded, “We have noticed…” message. It looks like you have lost out on receiving your reward…but there is a way. Refresh your browser window. The Captcha will show up above the video. Solve the Captcha, then press the Like or Dislike under the video. I know that it looks like the buttons aren’t enabled…but trust me…click it. You will get a mission completed message and eaves deposited to your account. 8. Are you interested in increasing your Net Wealth? You can buy eaves from EA, you should do missions, but probably the fastest way to increase your Net Wealth is to purchase new players (all stocks are priced at 10(e) to start); as folks buy more shares the price rises; then sell them when their share price stops going up. 9. Surviving the Sophomore Slump. Most new stocks rise very rapidly at first, but then; sometimes horribly and suddenly, your share price drops. Investors are assessing your potential and taking their profits. Do not despair! If you have not invested back, use your eaves to invest in folks who bought your shares. Don’t try to match but don’t be too cheap. If you have invested back, the dip will be temporary and relatively painless. If you find folks that sold your shares while you have an investment in them, you might reciprocate by selling them. Perhaps even use those eaves to run your first buy mission. 10. 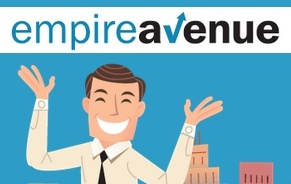 Empire Avenue is a social network. You are more likely to succeed if you are social. Use the shout feature everywhere. Folks are more likely to buy you if they know you. Be positive & engaging in your interactions. Don’t turn off shouts on your own profile. If someone is bothering you, mute or block them. Bonus tip: Be consistent with your personal brand. Use the same avatar, name, messaging and style across your networks to make it easier for folks to recognize & find you. If you say something nice to me on Facebook, I might want to reward you with an investment. If I can’t find your Empire Avenue ticker easily, I probably won’t invest. Bonus tip #2 Make sure your investors know you are thankful. If you click your avatar in that top blue bar; then Shareholders, you will see the folks who recently invested listed under Purchase Time. Do something nice for your investors: invest back, shout thanks, endorse their blogs, do small FB or G+ like bomb, retweet something. Let them know that you are grateful. Even if you don’t have a ton of eaves for huge buy backs, you can find a way to forge a grateful connection. That will be good for you & your investors! Thanks to my friend Laura Sykes for this suggestion.